This movie's a crack. Obviously, Richard Berry is a poor actor. We discover with this movie, quite logically, that he is a poor author too. Well, actually, he is not an author at all. This 'Amelie Poulain' lookalike product is very boring, unimaginative, full of clichés on childhood (and music ad hoc), and the adults around the main character are just clowns. 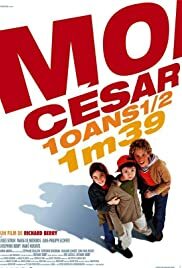 No direction, no action, just the narrative of this Cesar, very thought actually for an immature adult audience. This is very sad to see how french cinema is getting worst and worst, financing such indigent projects when many young authors are starving. Thank you TF1, Canal + and so on. 3 of 17 people found this review helpful. Was this review helpful to you?